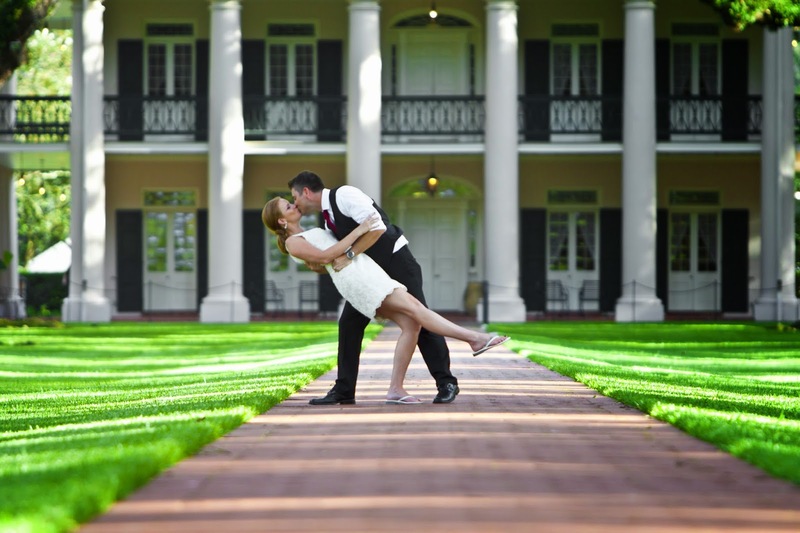 I received a sneak peek of our engagement photos taken at Oak Alley Plantation. The 20 photos we have received so far are stunning and are very excited to see the rest of the session. Our photographer, Austin of Photo225, was awesome to work with. 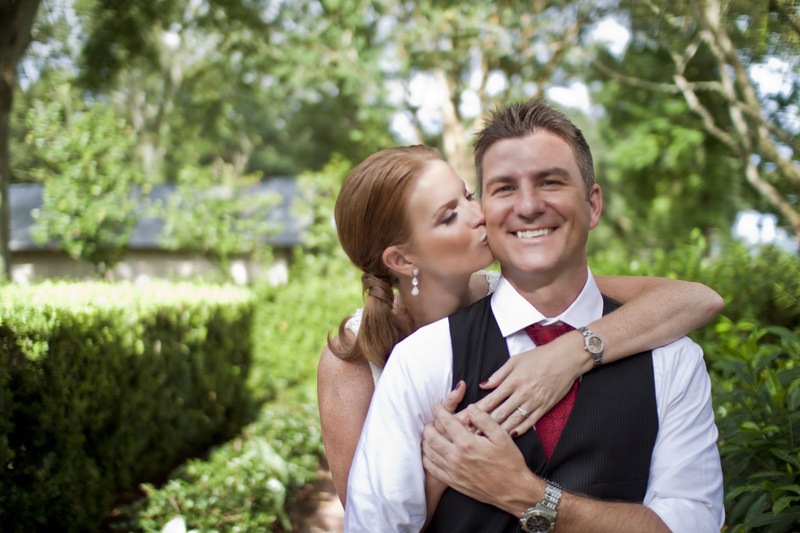 He made us both very comfortable and we instantly requested for him to be one of our wedding photographers. One thing I suggest for anyone getting engagement (or wedding photos) done - use pinterest as much as possible prior to your shoot. Google poses, backdrops, props, etc. and pin it to an engagement board. When we arrived to the plantation, Austin asked if there were any specific shots we wanted and I pulled out my phone, showing him nearly 20 photos I liked from other couples at Oak Alley. This really helps the photographer get your vision and also means you will get photos you want. Upon arriving at Oak Alley, Gabe ad I were both very nervous and awkward. Luckily for us, Oak Alley serves delicious and strong Mint Juleps, which we both promptly ordered and downed. Off we went! One photo we knew we had to have was one on the balcony over looking the Oaks. 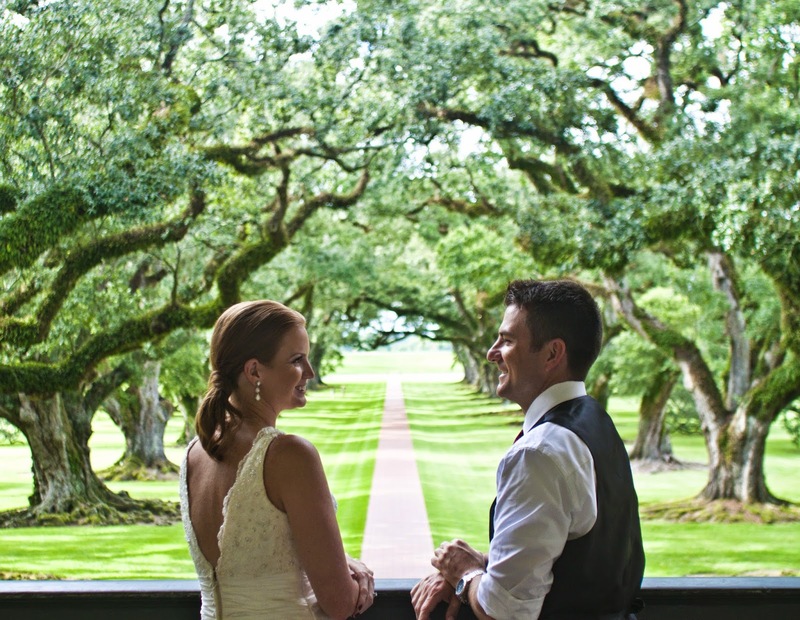 The canopy oaks at Oak Alley Plantation are breathe taking and I LOVE the way this shot turned out. 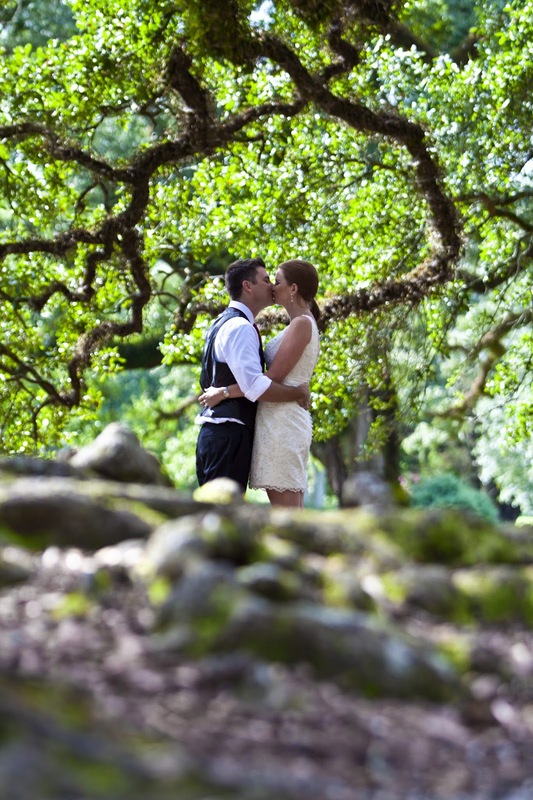 Another favorite was our peek a boo behind the tree kissing shot. This shot was inspired by a photo I found on pinterest. This was not the easiest photo to take and it took quite a few times to perfect. This photo is the new background on my phone! It was very hard to pick out favorites from the sneak peek! I can only imagine what will happen when we receive the full disk of photos! 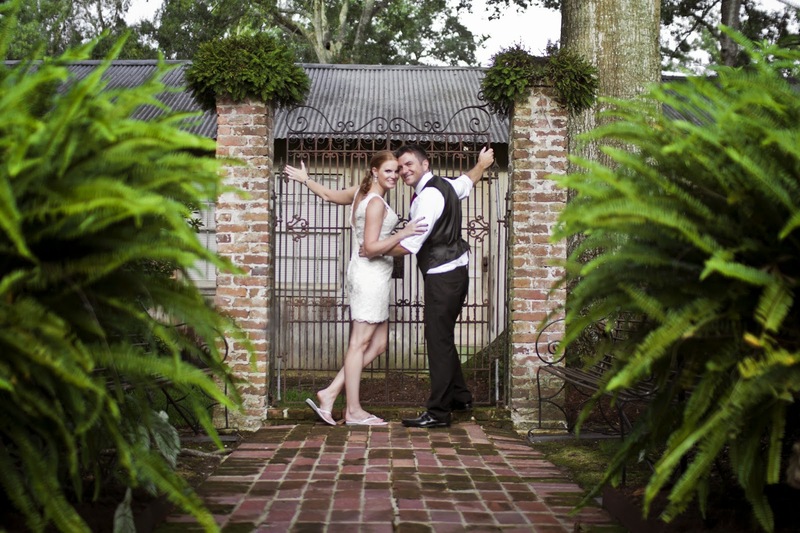 Here are a few other photos of Oak Alley Plantation that we loved. From romantic to spooky: Stay tuned in a few weeks for our "fun" engagement shoot! It seemed as the stars aligned for us.....we love Busch Gardens, Halloween and New Orleans, so it goes without saying that we were ecstatic to learn there would be a Louisiana themed haunted house this year at Howl O Scream!! 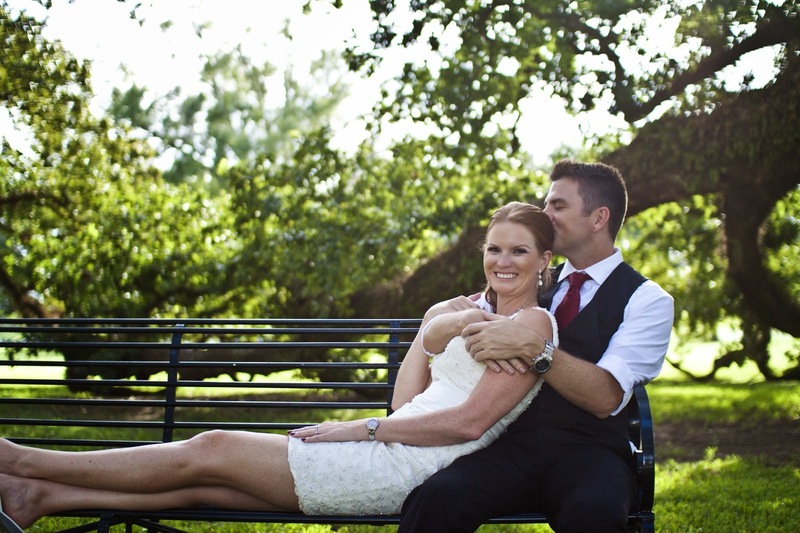 We are fortunate to be able to take a few engagement photos in the Death Water Bayou with the Voodoo Queen! These photos will be taken by the very talented Joe Roberts of Roberts Imagery. Since our wedding is a month away from Halloween with the location set in the voodoo capital, I think the entire set up may be perfect! These pics came out beautiful! What a picturesque setting and I love the dress! Megan, you guys are one good looking couple! And I can tell how much you love 'n adore each other through these gorgeous photos. What an amazing venue and good call on combing pinterest before doing the shoot. I didn't do an engagement shoot and I felt a bit awkward on the wedding day at the beginning because seriously, regular people aren't used to doing photo shoots. My photographer was incredible and put us at ease pretty fast but still. There are so many gems in here. I can't wait to see more, especially of your wedding when the big day comes!